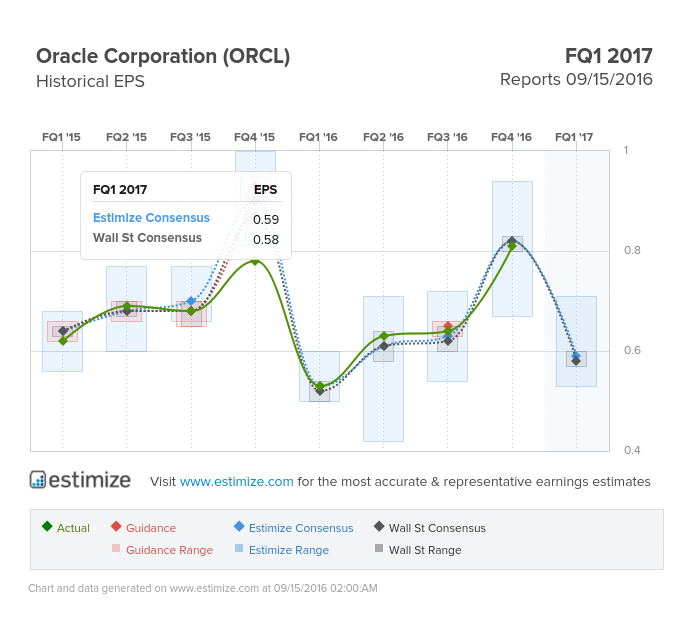 Oracle Corporation (ORCL) Is it Time to Buy Ahead of Earnings? 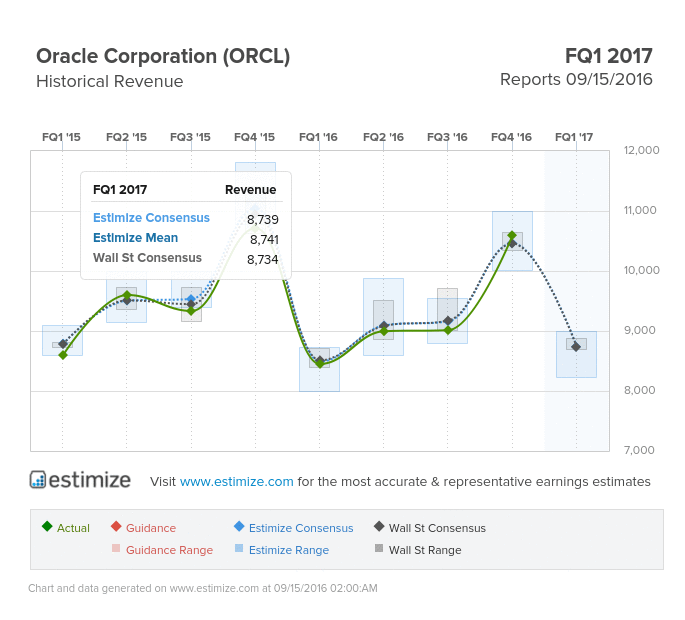 Oracle Corporation (ORCL) Is it Time to Buy this Tech Giant Ahead of Earnings? Oracle Corporation (NYSE: ORCL) Is it Time to Buy this Tech Giant Ahead of Earnings? What are you expecting for ORCL? Get your estimate in here! Analysts at Estimize are calling for earnings per share of 59 cents, 12% higher than the same period last year. That estimate has dropped 11% since Oracle’s most recent report in June. Revenue for the period is estimated 3% higher to $8.74 billion, marking a second consecutive quarter of positive growth. Shares of Oracle are up 10.5% year to date but historically drop 1% following an earnings report. Oracle’s transition to cloud computing in its Saas, PaaS and Big Data divisions has been nothing but promising. While the company enjoys a leading position in enterprise and database management systems, they are also gaining ground in the rapidly growing cloud sector. New products and the acquisition of NetSuite should help capture greater market share in spite of falling licensing revenue. Further strategic acquisitions will also play a significant role in expanding the company’s product portfolio. Do you think ORCL can beat estimates? There is still time to get your estimate in here!